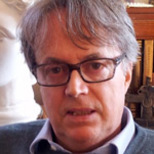 Claudio Gallo is a journalist, currently working as a culture editor at La Stampa, one of the main newspapers in Italy. He was foreign desk editor and London correspondent. Occasionally he writes for AsiaTimes and Enduring America. His main interest is Middle East politics. He was on the streets during the disputed Iranian elections of 2009 and during the start of the so-called Egyptian Spring in 2011. He writing focuses on the Shiite world: Syria, Lebanon, Iraq and Iran. He is banned from India because he supposedly wrote that the real country is very different from the officially publicized image. He likes to interview the last few thinkers who provide alternatives to prevailing ways of thinking.